Rabbi Eli Ben-Dahan insists more secular MKs won't mean compromise on values, says he'd love to finish what he started at the rabbinate. December saw much of Israel's religious-Zionist community breathe a collective sigh of relief, as the Tekuma (National Union) faction formally agreed to full unification with the Jewish Home party. The vote by Tekuma's Central Committee ended months of steadily-escalating tension between Naftali Bennett's Jewish Home party, and some elements within Tekuma who wanted to split due to the party's willingness to allow secular candidates to stand in the party primaries. The decision by the Jewish Home and Tekuma parties to run together during the last elections netted a substantial 12 seats, up from a paltry three and four seats respectively, and totally reversing the two parties' decline into oblivion. Today, polls show a united Jewish Home party gaining anything between 15 and 18 seats in the next Knesset. Although most Tekuma members and MKs - as well as its new rabbinical council - agreed to the merger, a minority remained opposed. 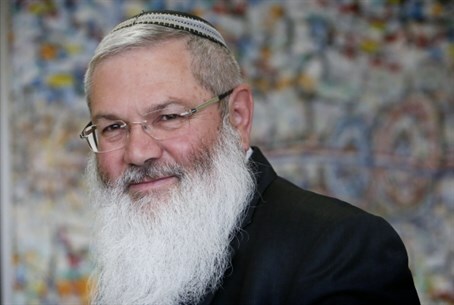 Rabbi Dov Lior formally resigned as a member of the rabbinical council in response, and MK Yoni Chetboun defected to Eli Yishai's new Yachad - Ha'am Itanu party. But on the other side of the debate within Tekuma, one of the faction's most prominent MKs chose to cross the divide even before his party did. More than a week before the Central Committee vote, Religious Affairs Minister Rabbi Eli Ben-Dahan formally joined the Jewish Home party, announcing his intention to run in the party's primaries on January 14th. Now in the midst of a grueling pre-primaries campaign, Rabbi Ben-Dahan explained that his decision reflected his firmly-held belief in the direction the Jewish Home party is taking under the leadership of Naftali Bennett. He says he sees the flaws in the wheeling-dealing reality of the primaries system - particularly while a few select candidates are able to circumvent it - but that he decided to take the plunge because "it's a system the people value and want, and it is important to listen to the people." On the contentious question of whether the party can maintain its religious-Zionist values while including more non-religious - and even potentially non-Jewish - candidates, Ben-Dahan is unequivocal: "Of course it can be done." "You have to understand that the party is a religious party at its very essence," he explains. "The party's constitution enshrines that Torat Yisrael (the Torah of Israel) is the guiding light of every MK. So even if other people who aren't fully religious join, the foundation is a religious party, and that's the constitution with governs the direction of the party and the behavior of each and every individual MK." And he points to the Jewish Home party's record during the 19th Knesset as proof of how, as a party, "we know how to stand by our values." "If I look at the last one-and-a-half years, I think that overall the party withstood all its challenges." "It was a very difficult coalition," he notes, pointing to the inclusion of the fiercely secularist Yesh Atid and Hatnua parties. "We had a lot of laws which would have harmed the link between religion and state, but when push came to shove, not a single law which harmed the status of religion in the country passed." He says he is proud of what he achieved at the Religious Affairs Ministry, although he adds he wishes he had had more time. In particular, he says moves to empower rabbis at local and grassroots levels helped make the Israeli rabbinate more accessible to ordinary Israelis. If asked, he would jump at the opportunity to finish what he started, "but it's too early to say - and of course it depends on whether we will even be in the next coalition." Ben-Dahan highlighted two main areas he would particularly like to improve in the rabbinate. The first regards the way the rabbinate interacts with the general public; namely, improving its efficiency and transparency. "Most people don't even know what the rabbinate does, what decisions it makes or what the decision-making process even is," he stated. "There should be transparency, and the rabbinate should be more accessible and open to everyone." The second point of improvement he would like to bring about - hopefully as a natural result of the above reforms - would be in the way in which the Israeli public in turn value the rabbinate. "I would love to see the chief rabbis getting more involved more in the important issues of the day - I said this consistently as an MK and a minister - and that we should lend more weight to their views." As for the party as a whole, Ben-Dahan says while its achievements in such a short period are impressive, it needs to strengthen its relationship with residents of Israel's northern and southern "peripheries." "We need to make sure they are represented as much as anyone living in the center (of the country)," he insists. "Whether in terms of budgets, or official positions, or anything else." And he's putting his money where his mouth is, giving the interview on the fly as he speeds between engagements in the Galilee. "Today alone I've been to Akko, Maalot, Tzfat, Migdal Ha'emek, Nazareth Illit, and Kiryat Atta - and I'm finishing off now at a conference in Yad Binyamin." It's a schedule which underlines his fierce sense of conviction in his, and his party's mission. "I'll sleep well tonight," he smiles.